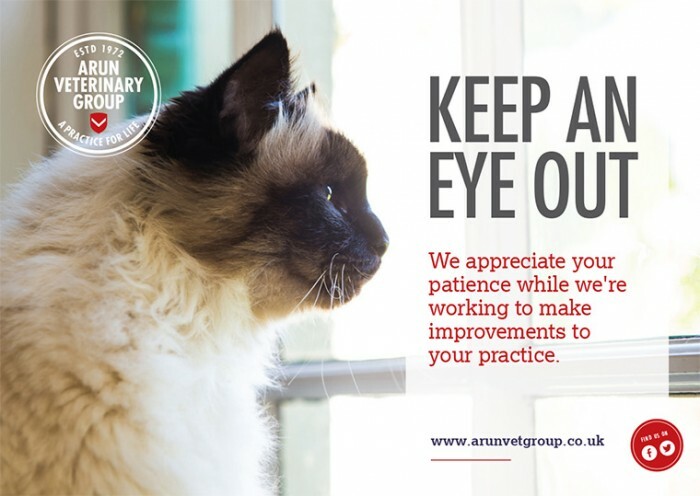 As part of our promise to continually improve Arun Vet Group we will commence external renovation work at both the Pulborough and Storrington surgeries during March. The Storrington surgery will be closed from Monday 14th March for approximately 10 days but services at our Pulborough and Ashington practices will remain unaffected. If you are unable to attend either surgery or require any assistance, please call us on 01798 872089 and we will endeavor to help.